Prof. Tang joined the Department of Urban Planning and Design in September 2012. Before joining HKU, he was Professor and Associate Head of the Department of Building & Real Estate at the Hong Kong Polytechnic University. He received his BSocSc (Hons.) in Economics and Sociology and MSc (Distinction) in Urban Planning from the University of Hong Kong, MBA from the Hong Kong University of Science and Technology, and PhD in Urban and Regional Planning from the London School of Economics and Political Science. He also received real estate education from the Haas Business School at the University of California Berkeley. He holds professional memberships in the Royal Town Planning Institute, the Hong Kong Institute of Planners, the Royal Institution of Chartered Surveyors and the Hong Kong Institute of Surveyors, and carries the title of a registered professional planner (Hong Kong). He is currently Programme Director of the MSc (Urban Planning) programme and Assistant Director of the Centre of Urban Studies and Urban Planning (CUSUP). Tang, B.S. (2017). 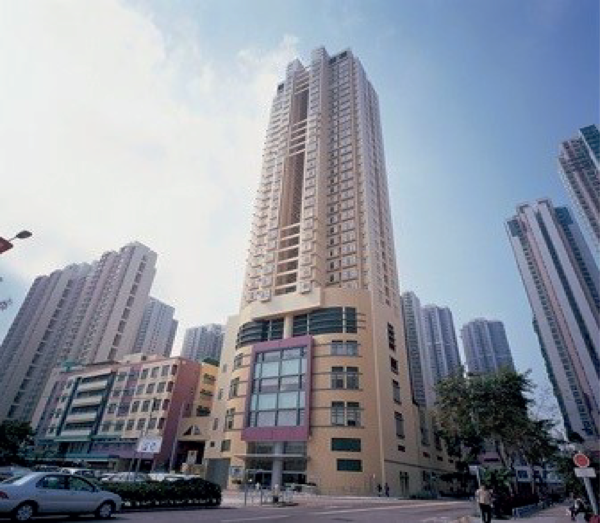 Is the distribution of public open space in Hong Kong equitable, why not? Landscape and Urban Planning. 161, 80-89. Lai, Y. and Tang, B.S. (2016). Institutional barriers to the redevelopment of urban villages in China: a transaction cost perspective. Land Use Policy. 58, 482-490. Tang, B.S. and Ho, W.K.O. (2015). Land-use planning and market adjustment under de-industrialization: restructuring of industrial space in Hong Kong. Land Use Policy. 43, 28-36. Tang, B.S. and Ho, W.K.O. (2014). Cross-sectoral influence, planning policy and industrial property market in a high-density city: a Hong Kong study 1978-2012. Environment and Planning A. 46 (12), 2915-2931. Tang, B.S., Wong, S.W. and Liu, S.C. (2011) Institutions, property taxation and local government finance in China. Urban Studies. 48 (5), 847-875. Tang, B.S. and Yiu, C.Y. (2010). Space and scale: a study of development intensity and housing price in Hong Kong. Landscape and Urban Planning. 96 (3), 172-182. Tang, B.S., Wong, S.W. (2008). 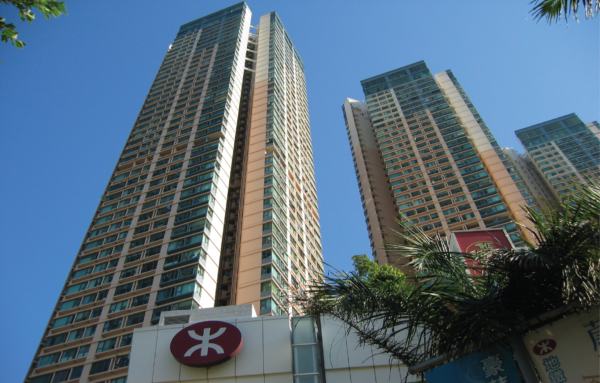 A longitudinal study of open space zoning and development in Hong Kong. Landscape and Urban Planning. 87 (4), 258-268. Tang, B.S., Wong, S.W., Lau, M.C.H. (2008) Social impact assessment and public participation in China: a case study of land requisition in Guangzhou. Environmental Impact Assessment Review. 28 (1), 57-72. Tang, B.S. Wong, S.W. and Lee, A.K.W. (2007). Green belt in a compact city: a zone for conservation or transition? Landscape and Urban Planning. 79 (3-4), 358 – 373. Tang, B.S., Wong, S.W and Liu, S.C. (2006). Property agents, housing markets and housing services in transitional urban China. Housing Studies, 21 (6), 799-823. Wong, S. W. and Tang, B.S. (2005). Challenges to the Sustainability of development zones: a case study of Guangzhou Development District, China. 22 (4), 303-316. Suen, W. and Tang, B.S., (2002). Optimal site area for high-density housing development, Habitat International, 26 (4), 539-552. Tang, B.S., Choy, H.T. and Wat, J. K.F. (2000). Certainty and discretion in planning control: a case study of office development in Hong Kong, Urban Studies, 37 (13), 2465-2483. Tang, B.S. and Choy, H.T. (2000). 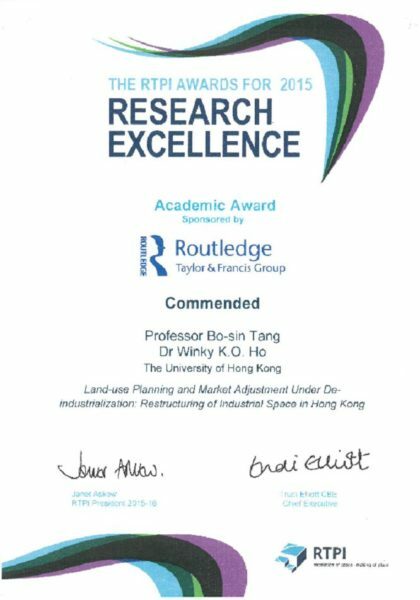 Modelling planning control decisions: a logistic regression analysis on office development applications in urban Kowloon, Hong Kong, Cities, 17 (3), 219-225. Tang, B.S. and Tang, R.M.H. (1999). 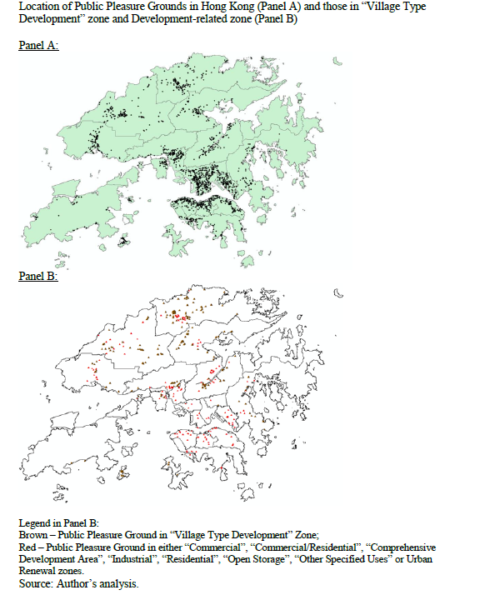 Development control, planning incentive and urban redevelopment: evaluation of a two-tier plot ratio system in Hong Kong, Land Use Policy, 16 (1), 33-43. Tang, B.S. and Leung, H.F. (1998). Planning enforcement in Hong Kong: implementing new planning law before change of sovereignty, Town Planning Review, 69 (2), 153-169.